How can you avoid wasting thousands (or millions) of dollars on a bad or ill-timed idea while fostering a culture of innovation? 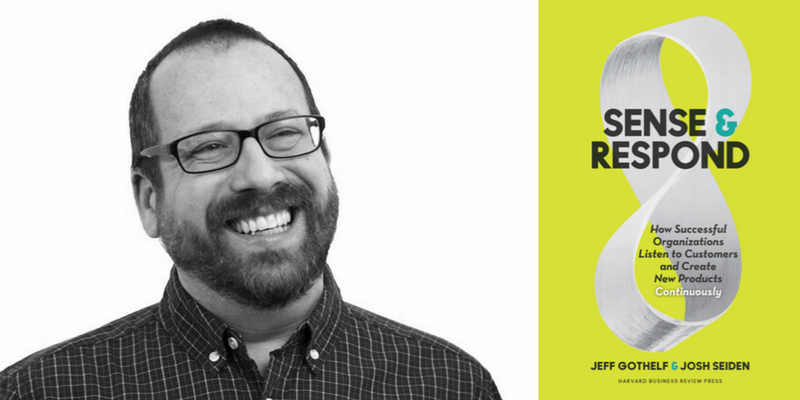 Josh Seiden, co-author of Sense and Respond, says that one of the best things a business can do is shift their annual planning and budgeting process to something much more agile. But this approach isn’t functional now, Seiden posits. For the majority of businesses, it makes sense adopt a leaner, more agile approach to planning and product development because of the speed at which technology and their related industries are changing. It’s much more likely that businesses will be successful if they’re able to shift course quickly when they identify issues or opportunities. There are also benefits to Lean Planning and testing ideas on a smaller scale, rather than risking a full-scale product launch based only on some initial market research. Anyone who has taken their first pass at the financials section of their business plan has probably wondered how to forecast accurately. It can seem daunting to try to make long term budgeting projections when you’re first starting out, since you’re basically starting with a hypothesis about what your customers want and what the market will bear. This doesn’t mean you shouldn’t do the financial section, or that you should resort to the hockey stick method. Your one or three-year projections are valuable, especially to banks and investors. Instead, Seiden recommends a continuous process of idea validation, or lean budgeting. The idea is to budget and get funding for milestones rather than for full project-based annual line items. Rather than building out a full-scale product—a huge investment of time and money—Seiden says the better way is to use the minimum viable product approach (MVP) and test whether a scaled back version your idea has traction in the marketplace first. If it does, create a new milestone to work toward and seek funding for the next iteration. If it doesn’t, modify your idea and keep testing. Larger organizations want predictability. In many cases, it’s difficult for them to deal with the uncertainty that’s so common to the startup environment. Startups actually have the upper hand because they’re living and breathing risk, and in general, it’s easier to see the benefits in being able to pivot quickly if a hypothesis is incorrect or if a better opportunity emerges through the MVP testing process. Seiden says that there needs to be room in the process for learning, which includes failure. But the key: Risk is actually lower if you’re taking the agile approach. You’re not pumping millions of dollars and thousands of hours into a monolith that has the power to take down your company if you don’t succeed. Seiden’s advice to entrepreneurs: “Don’t fall in love with the solution, fall in love with the problem.” Determined to be in the ice cream business? If you discover that people love the homemade cones but not the ice cream, are you willing to be in the cone business? Will you pivot because you love building your own business, or will you lay your idea to rest and go back to a 9 to 5 lifestyle working for someone else? Seiden’s advice reminded me of a piece of time-tested advice most often delivered to writers and artists: kill your darlings. Meaning, to be successful, entrepreneurs need to be willing to let go of their most precious ideas (their darlings) if and when they don’t pan out. Which is not to say that they should give up the path of entrepreneurship—it’s about willingness to pivot and refine an idea, rather than stick with a version that shows limited promise. What’s the lean budgeting plus agile planning process? At the end of the day, the goal is to forgo a rigid annual budgeting in favor of more frequent, periodic progress checks that are run like experiments: make a hypothesis—document what you think will happen; test the theory with an MVP; then use the results to inform your next hypothesis. Seek funding for each iteration, rather than focusing a huge budget line item on a single, untested idea. 1. Can I make a thing that people love? This can take months or years of investigation. But be systematic about your research; set milestones and deadlines that will prompt you to critically evaluate what you’ve invested and what you’ve learned from testing your MVP out in the marketplace. This guiding question allows some space around what exactly the “thing” is. Over time, it might become clear that the initial solution isn’t the one that people really want. But if you keep testing, it’s a lot more likely that you’ll get closer to the iteration that people do love and will pay for—which leads to the second guiding question. 2. Can I reliably make money delivering the product that people love? Answering this question will require more research into pricing models, manufacturing or service delivery minutia, and some nimble dedication to building a sales and marketing plan. And remember, some of this has to do with good timing—keeping an eye on what’s happening in terms of larger economic and social trends so that your MVP hits the market at the right time. 3. How do I figure out how to make it big? “Entrepreneurs sometimes deal with this question out of sequence,” Seiden says. They focus on how they can make money from their particular product or service, hoping to scale too quickly or without testing smaller MVP versions before building a huge, high-stakes version. Testing ideas in the marketplace is easier than it’s ever been. “If I have an idea for a new business, I can use a service like Unbounce, Launchrock, or Hubspot to put up a landing page, and buying Facebook ads is easy. In a day or a couple of days, I can see how many clicks I get on ads, and I’ll have data on who signed up for my mailing list on my simple landing page,” Seiden says. A solo entrepreneur can put an idea out in the world and quickly gather data and access analytics that gauge interest on that idea. “If I have an Instagram account, I can see what other kinds of ice cream flavors people are interested in across the world. I can see if people are posting about my ice cream on Instagram.” Businesses have access to real-time feedback that was never possible before. Seiden recommends pulling two types of data during the earliest stages of research. First, look at the numbers, like how many people click through to end up your landing page. Second, don’t miss out on qualitative data, especially when your initial numbers (of clicks or visit) are small. “See if you can figure out why people clicked through, why they gave you their contact information. Call them. Ask them what made them take action. Numbers tell us what people do, but not why. To figure out why, you have to talk to people.” But, he says, the beauty is that you don’t have to talk to that many people to get a good sense of why people are interested. The secret here is that most agile startups that are using this lean budgeting and agile testing process don’t go through it just once. They answer the questions in logical order, make changes, and test the product again, over and over. This approach makes innovation and improvement part of the fabric of company culture. Kateri is the managing editor of Bplans and the LivePlan blog. She is fascinated by the intersection of words (and the humans that use them) and tech and startup culture.